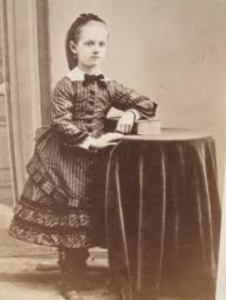 Children’s fashion during the Victorian age was very unique to its time. People wore fancy, heavily-layered clothing, much different from the clothes people wear in modern times. Children’s clothing resembled those of the adults. Different style clothing was worn according to age and gender. Girls wore mostly skirts and dresses, the style and length changed as they grew older. Meanwhile, the boys wore sailor suits, and clothes that would be considered girls clothes in modern standards. All of these children’s clothes were uncomfortable and fancy, for that was the style in the Victorian aged England. Girl’s fashion from the Victorian era was mostly based on skirts. At certain ages, the skirts would have to be longer. At first, before they started school, the girls would wear very frilly dresses. The frillier the dress, the richer the family. When they got into school, then they would wear the skirts. 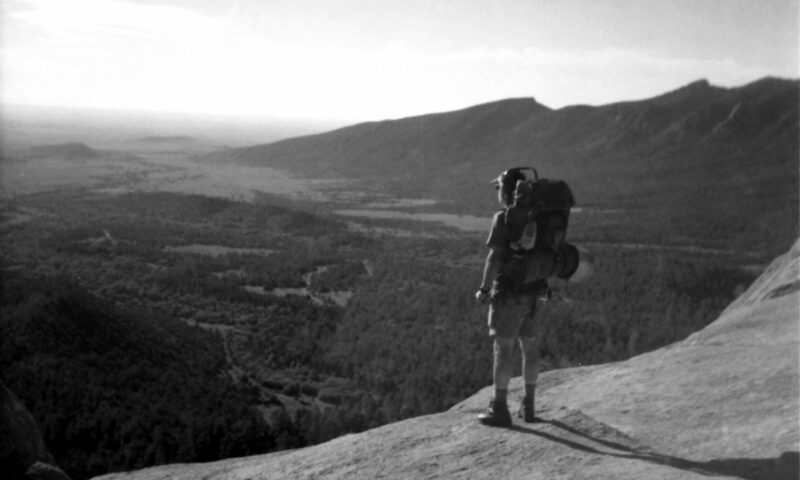 The skirts would start at about knee level, at ten years of age the skirts would drop to about mid-calf, and at sixteen years of age they would go all the way down to their ankles. At this age, the girls started dressing just like the ladies. 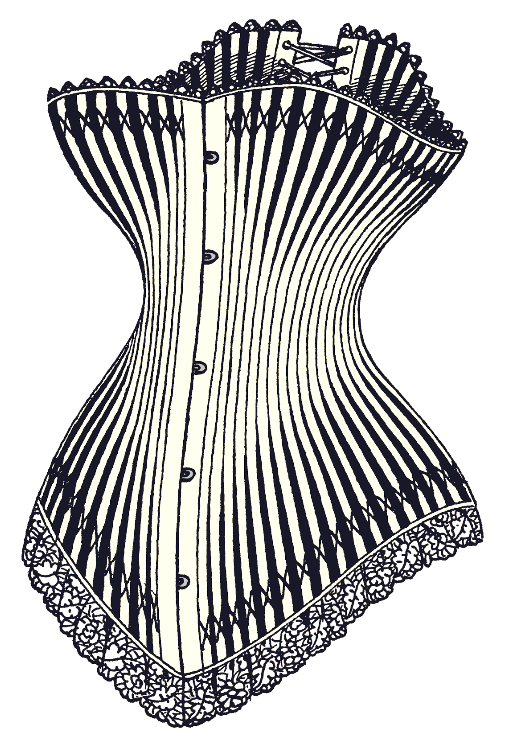 They would wear corsets underneath their clothes, to make their bodies look the way they were most popular back then. Victorian era boys clothing shared similar characteristics as the girls’. Boys would commonly dress according to their age. 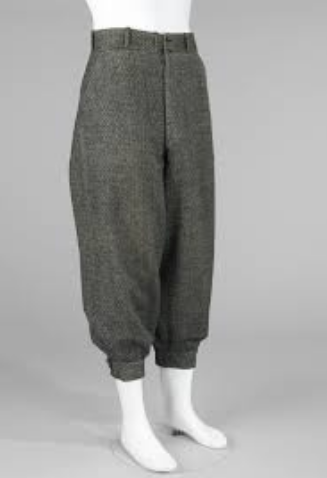 They commonly wore knickerbockers as a standard, casual piece of clothing. Young boys wore frocks, blouses, and tunics with pleated skirts up until the age of three or four. After this young age, they wore knickerbockers with short, collarless jackets. 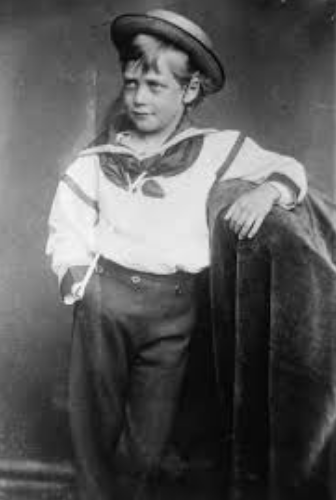 Boys also wore the popular naval-style uniform, which consisted of buttoned trousers, dark stockings, black boots, buttoned reefer jackets, and a wide brim straw hat. Most of the naval-style clothing was either colored in white, black, or navy blue. The front of jacket collar was often V-shaped, and jacket materials were of cloth, wool, linen, pique, and duck. Woolen dresses were also worn as a part of the uniform, often decorated with buttons similar to the jacket and trousers. Boys clothing shared some characteristics of girls clothes, but boys clothing was much less uncomfortable. The look was all that mattered in Victorian clothing, even for the children. The girls would have to wear corsets when they turned sixteen, which were very unpleasant. 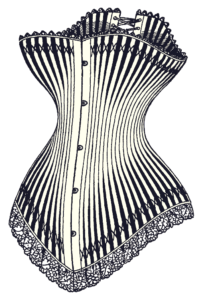 Corsets are very tight undergarments that women would wear on their torsos. They would be so tight that they would crush, and break the women’s spines. Boys and girls would have to wear many layers of clothing. This caused for very uncomfortable, sweaty times. In the summer the girls could at least take off their jackets, but there were still so many layers. Victorian clothing looked good on the outside, but was very uncomfortable. To conclude, Victorian age children’s clothing was a fancy, heavily layered and uncomfortable style of clothing. Girls wore skirts and dresses, which increased in length as the girls got older. Older girls also wore corsets. Boys wore frocks, blouses, and tunics with pleated skirts at a younger age, and also wore knickerbockers and collarless jackets. Boys also wore a naval-style uniform, and different styles of the clothing changed as the boys aged. Clothes for both boys and girls were heavily layered and uncomfortable, and girls’ clothing would be much more uncomfortable. Children’s clothing of the Victorian era was very cramped and was no pleasure to wear, but was certainly fashionable and proper to its time. “Victorian Dress and Victorian Style Clothing.” Victorianchildren.org, victorianchildren.org/victorian-dress-and-victorian-style-clothing/. Nunn, Joan. “What Children Wore.” The Victorian Web, A & C Black ltd., 2000, www.victorianweb.org/art/costume/nunn14.html. Haug, Joanne. “Sailor Theme in Victorian Boy’s Clothing.” Victoriana Magazine, 1966, www.victoriana.com/Victorian-Fashion/boysclothing-1890.htm.